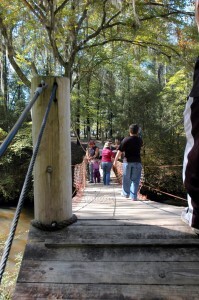 Kenan’s Mill was built in the mid 1800′s and produced water-ground meal, grits and corn for over 100 years. The grounds also include a fascinating 19th Century brick charcoal kiln. Kenan’s Mill was built and continuously owned by the Kenan family until Elizabeth Kenan Buchanan donated it to the Historic Society in 1997. Restoration is ongoing, and the mill is currently operating on special occasions by the Selma-Dallas County Historic Preservation Society. 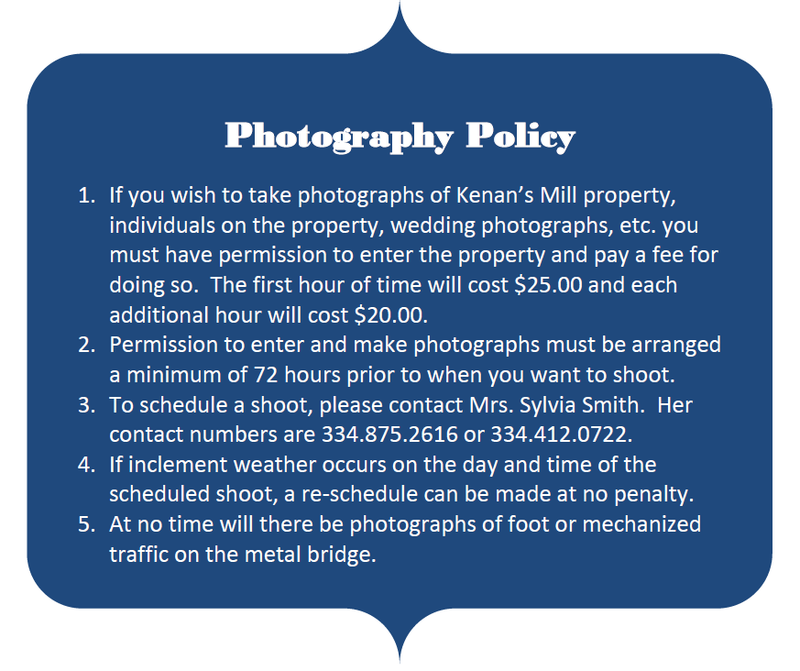 Kenan’s Mill is a great place to hold your wedding, party, or special occasion. For complete Rental Information, please click here and for the Photography Policy, please click here. For more info on the mill, please click here. 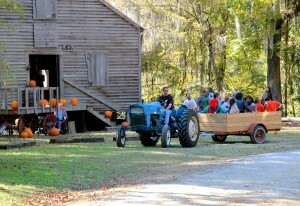 Kenan’s Mill was built in the mid 1800’s and produced water-ground meal, grits and corn for over 100 years. The grounds also include a fascinating 19th Century brick charcoal kiln. Kenan’s Mill was built and continuously owned by the Kenan family until Elizabeth Kenan Buchanan donated it to the Historic Society in 1997. Restoration is ongoing, and the mill is currently operating on special occasions by the Selma-Dallas County Historic Preservation Society. 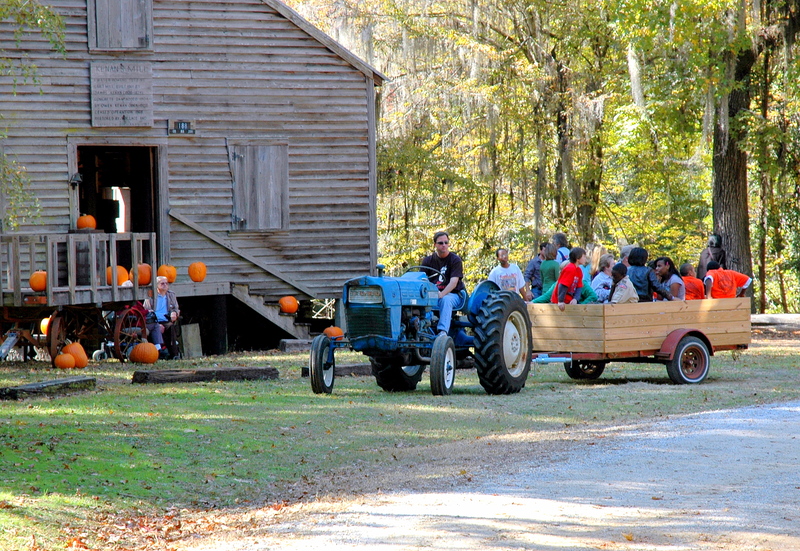 The pictuesque Kenan’s Mill property is available for parties, meetings, weddings, receptions, reunions and more. For complete Rental Information, please click here and for the new Photography Policy, please click here.